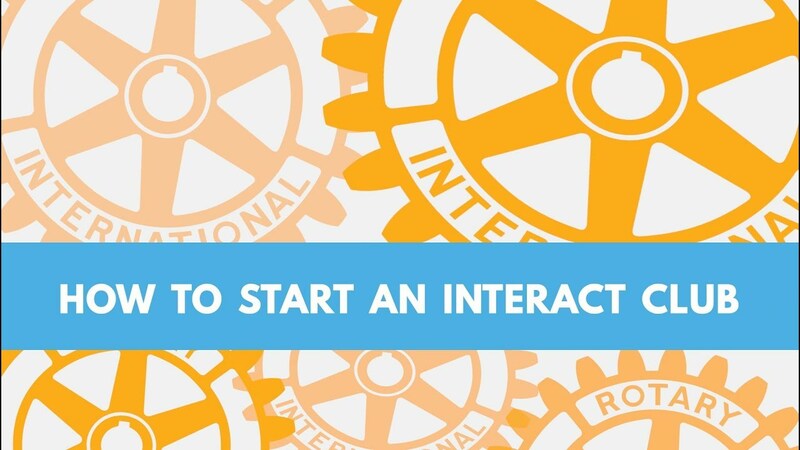 Invite Members to Experience the 2019 Rotary Convention! How are things going in Tanzania? For the benefit of new members in Rotary let me step back to 2008 when I was District Governor in our District (D9930). 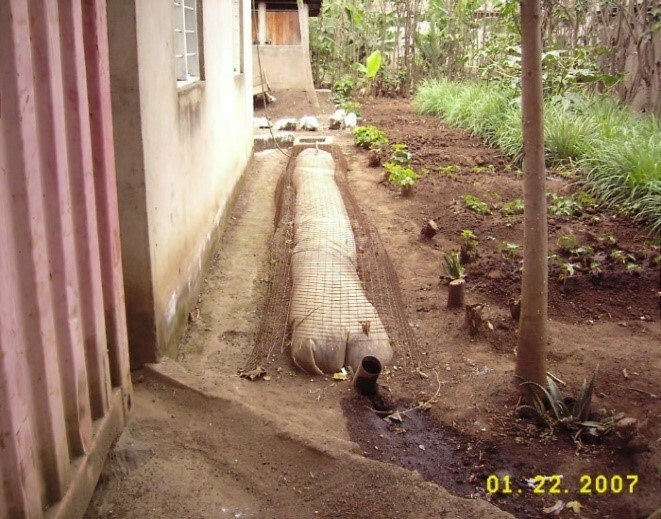 I developed a simple biogas digester (cow manure in one end – gas out the other end) to be used within the village of Mwika on the foothills of Kilimanjaro – Tanzania. 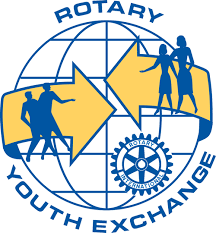 Whakatane High School Interact Club is the ‘Youth arm’ of Rotary, a service Club for young people between ages of 12 and 18. 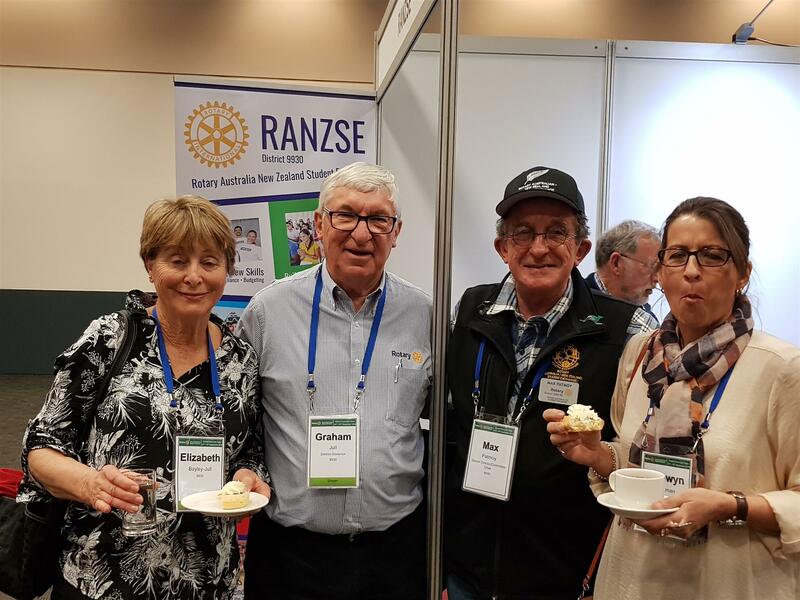 Our Interact club is sponsored by the Rotary Club of Whakatane Sunrise, who provide support and guidance with our many activities. 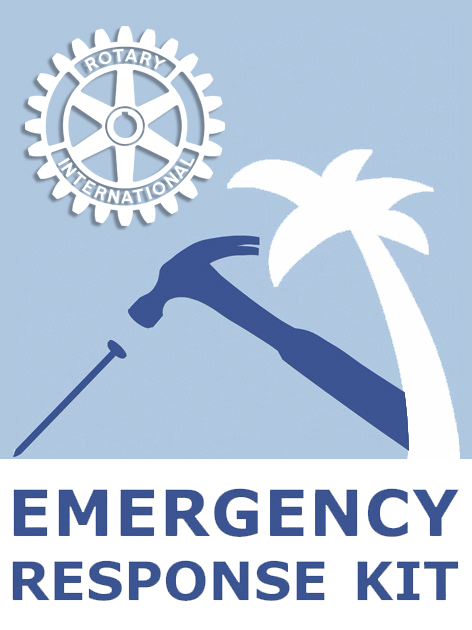 Our Interact Club is chartered, meaning we are recognised as an official club by Rotary International. 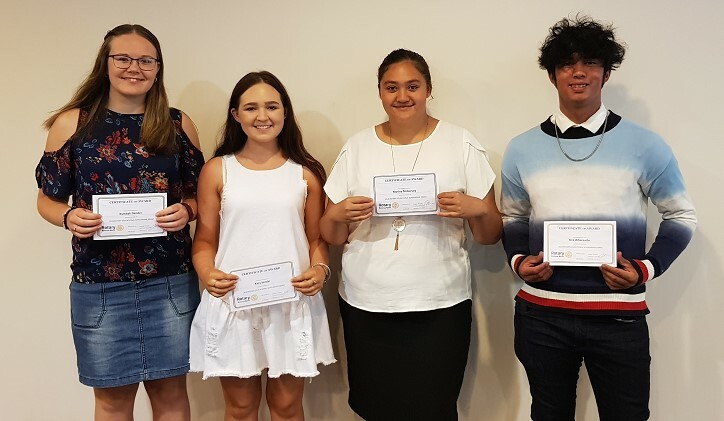 Whakatane High School’s Interact Club welcomes any student of Whakatane High School that is interested in making a change in their school and their community. for three days of intensive training in preparation for our new roles. 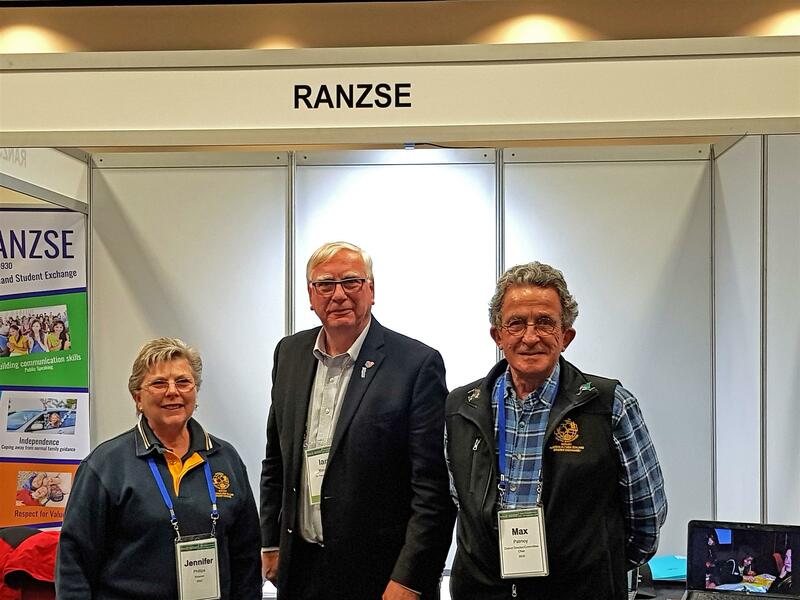 "Rotary Big Wigs" visit RANZSE booth in Hobart. 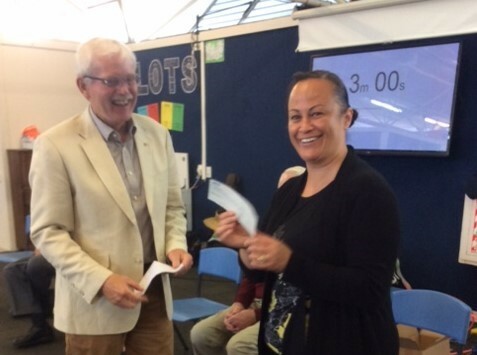 At huge expense the Otumoetai Rotary International Choir and Orchestra Music Initiative. Angus told us about his adventures in the rain. ADG Scotty co-opted him into this totally new venture for him and Barney Gray lent him a bicycle. Three weeks of preparation with some training by our Dennis, a new pair of Lycra balloon pants, and he was into it!! He started at the Motuoapo Marina with Kevin and Rusty egging him on. Whoops, a flat tyre so he had to start again!! 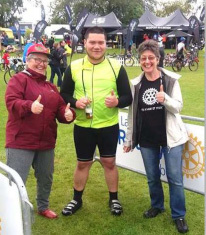 Then it was all on for 40km in the rain --- a few falls later (as he wasn’t used to his feet clipped into the pedals) and the cheerful sign for the last 10km, and he crossed the finish line in 129th place with Gail, Tracy and Kevin cheering him in  The Rotarian tent was very sociable as he gathered his breath. Angus said it was an awesome day and he intends to do 80km next year. He has bought the bike and training has begun. Go Angus Go!!!! Those of you who are placing Christmas lights/ decorations in your front yards, can you please avoid anything that has Red or Blue flashing lights together? Every time I come around the corner, I think it's the police and I have a panic attack. I have to brake hard, toss my beer out the window, fasten my seat belt, stop texting and throw my phone on the floor, turn my boom box down, and put my gun into the glove box. It's just too much drama for me, even for Christmas. Thank you, in advance, for your co-operation and understanding. 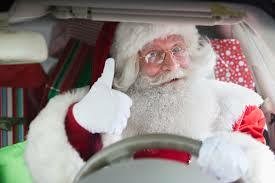 Wishing you a very Merry Christmas and Happy New Year. 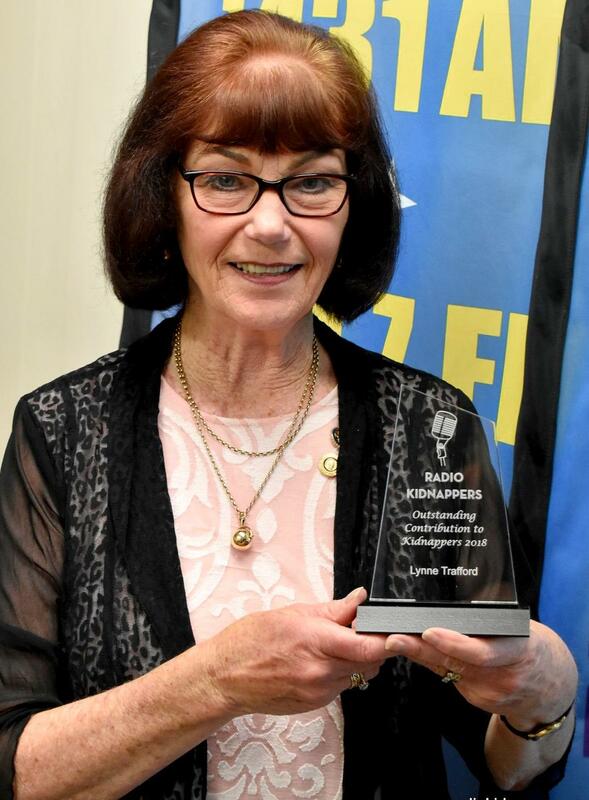 Christmas Auction - Assisting Children to School in Cambodia Last night at our Fairfield Rotary Club Christmas party we held our annual auction which was organised by the club’s International Committee. We received an overwhelming response from our club members and from our friends from the Rototuna club who also joined us. 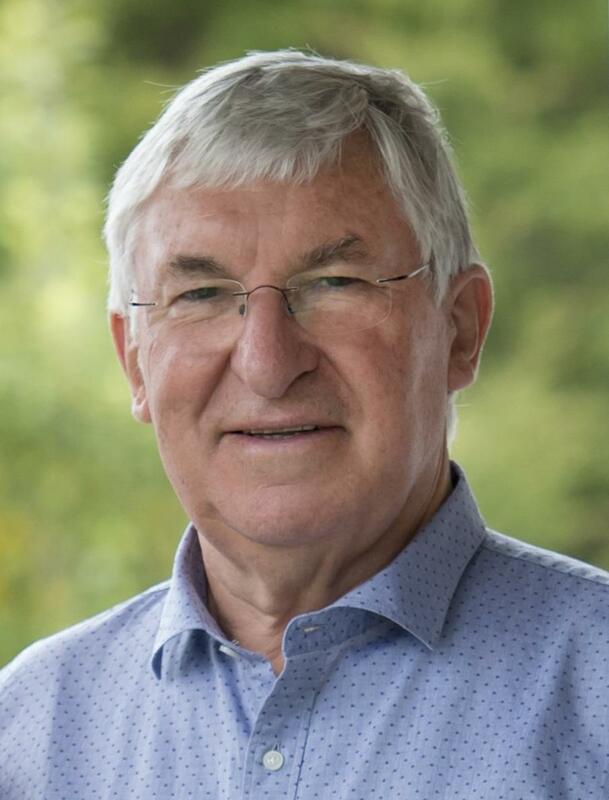 On behalf of the International Committee, Mike Grayson would like to thank you all for joining in and having fun at our auction. The number of people who came up after the auction and pledged $50 or $100 or some other sum absolutely surpassed my expectations. Thank you! It is amazing how these sums add up. Thanks also to those people who offered or arranged prizes and to those who gave bids. 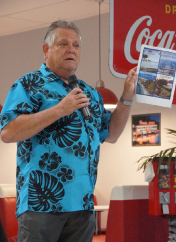 Thanks to our wonderful auctioneer, Mark. We raised a couple of hundred dollars shy of $10,000 !!! It is not an effort any of us take for granted. I think each of us can say this was truly a collective club effort and achievement. 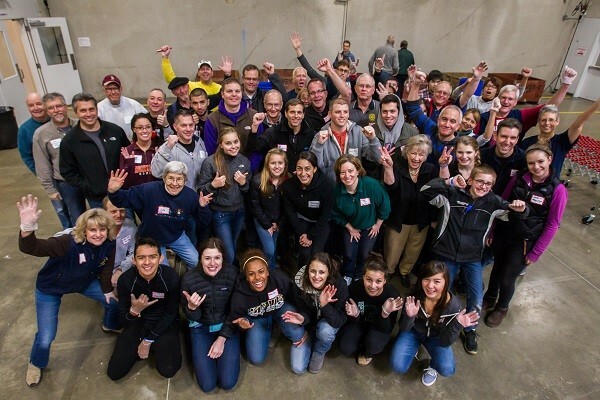 Essentially, this is why we belong to a Rotary club. 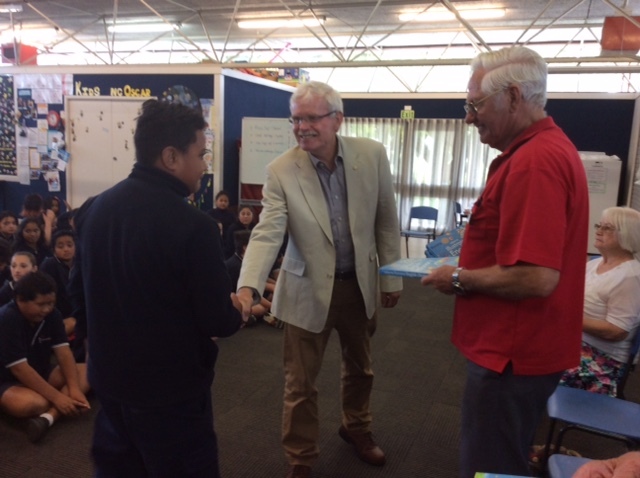 In the last two weeks this club presented dictionaries at Merivale School and Brookfield Primary School. A cheque for $2500 was also presented to Brookfield Primary School to purchase Duffy Books. We've done some good work with these awards. Student literacy is advanced in a personal way. Brian Hodge and Keith McLeod, well done for your efforts, and to those who attended the presentations. What a good meeting we had on Wednesday. It was a pleasure to listen to Mikala tell us her background and aspirations, and great that we can nominate her for RYLA. She is a leader in the making. Mikala spoke to the club about her life which we all enjoyed. She explained that she has a habit of putting her hand up for everything (school days: Junior forum, deputy for house captain yr 12, summer science application). 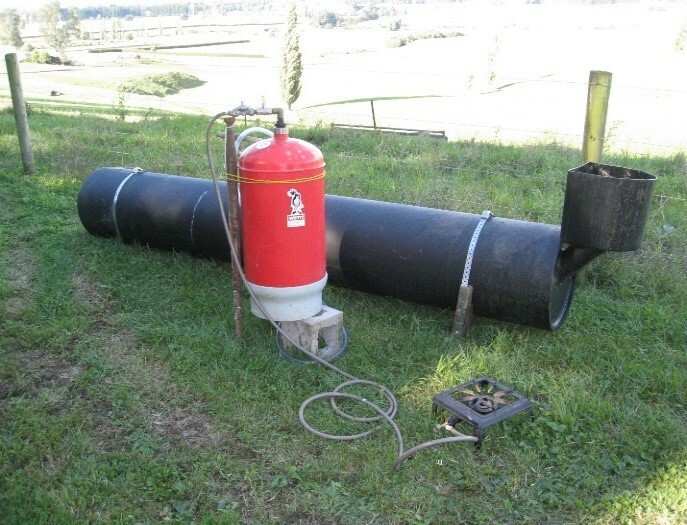 Well, that’s about all there is for this issue from Santa Graham. 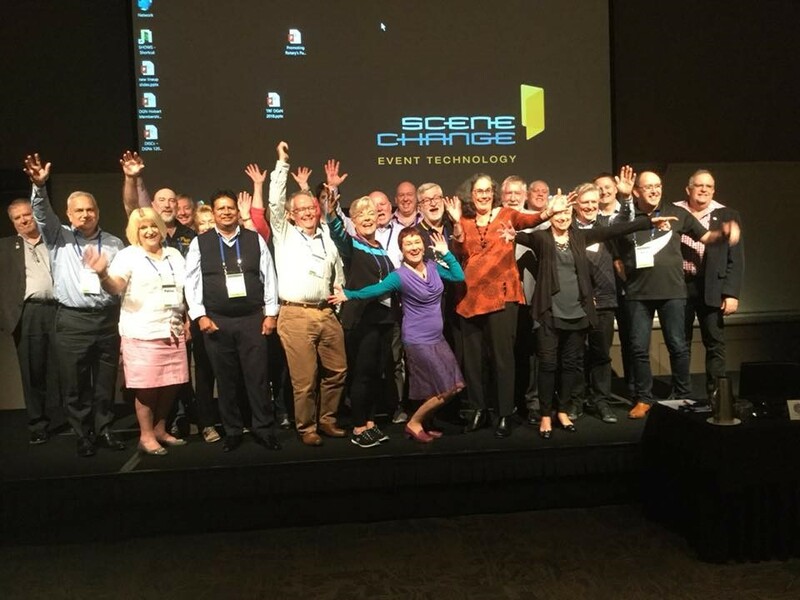 Don’t forget that the District website is fully operational and you will find a plethora of information about Rotary, D9930 clubs, and all activities. Please take a good stroll through the site by clicking HERE.